If you’re not familiar with Jorg Gray watches, you’re probably not alone. The company was only founded in 1998, and has only been selling to the public since 2009. In between, they were making timepieces for custom and promotional use. 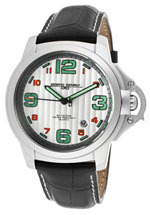 They are significant for being the favored watch of both the current President of the United States and the U.S. Secret Service, which favors the Jorg Gray JG6500 model. If you like sporty models, with chronograph features and good build quality, combined with surprisingly affordable pricing, you’re going to like Jorg Gray watches. Read on for the full Jorg Gray watches review. The build quality is surprisingly good, especially when you consider that these are relatively low-priced timepieces. They use stainless steel for their cases and stainless steel, rubber, silicone, or leather for their straps. Water resistance is good, with many models offering 100 meters of resistance or better. Most models feature screw-down crowns and the watch face is protected by rock-hard, scratch-resistant sapphire crystal, which is usually found only in more expensive timepieces. These are rugged timepieces that should run well for years with proper care. The movements are all, as far as we can tell, highly reliable quartz electronic movements. Sources for those movements vary by model, but they’re made either by Miyota, a subsidiary of Citizen, in Japan, or by Ronda in Switzerland. The use of quartz movements provides a highly reliable timepiece that will require relatively little in the way of maintenance and allows the brand to be sold at an affordable price, as quartz movements are usually less expensive than their mechanical counterparts. There isn’t much in the way of technical innovation; these timepieces use tried-and-true technology that has been developed elsewhere. The company’s strength comes from using that technology in a well-built, attractive and sporty design that’s offered for sale at an affordable price point. 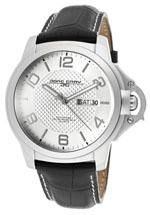 Styling tends towards the sporty and most models offer chronograph looks and features with multiple dials and buttons. Displays are all analog, and cases are all steel. Cases tend to be oversized. A few models have either shoulders protecting the crown or a piece that completely covers it, making it difficult to damage the winding stem. 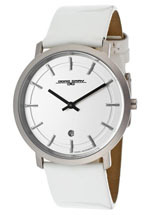 Jorg Gray watches became famous when word got out that President Barack Obama wore one. Most models have black faces, though a few have white ones. You’re not going to see orange, pink or purple in the product line, and watches for women, while available, are relatively few. As we write, there are nearly 70 models for sale designed for men while the company only offers a dozen models for women. The care and maintenance is relatively simple, as these watches all feature quartz movements, which do not require a lot in the way of care. You will need to have the battery replaced every couple of years and aside from that, you just need to make sure that you store your watch in a cool, dry place and keep them away from extremes of temperature or strong magnetic fields. With proper care, you’ll find that they should work well for years. The Jorg Gray watches warranty is the industry average, with products warranted against defects in materials and craftsmanship for two years from the date of purchase. This is a typical warranty; we believe about 90% of all watches sold today have a warranty of similar length. You will find that as luxury timepieces go, prices are relatively inexpensive, and have a narrow price range as well. Current models offered for sale range in price from $300 to about $800, though occasional limited edition models may sell for somewhat more. As the company is relatively new and doesn’t have much of a track record, we’re not yet seeing a lot of collector interest in the brand, though the JG6500 model, which is the preferred watch of the Secret Service, does occasionally sell for premium prices on the collector market. In time, this brand could become more collectible, especially if they eventually graduate to including automatic movement models in their product line. For now, simply appreciate the fact that the build quality is better than what one usually finds in the $300-$800 range. 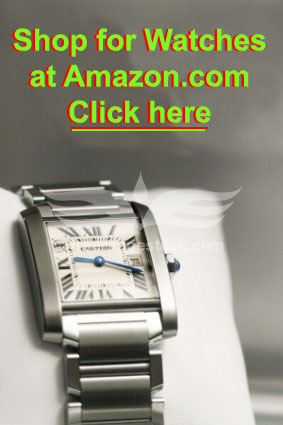 These watches are a good buy and a great value for the money. For such reasonably priced products, it can actually be rather difficult to find the brand for sale. The company sells only through a select group of authorized retailers, and there aren’t very many of them. In fact, there are only three authorized sellers in the United States, which is surprising, given that the company is based in California. Unofficially, you can buy them over the Internet from a few retailers, and that presents a great opportunity to buy if you’re looking for a bargain. We’ve seen them for sale online at prices approaching 90% off at some retailers, so it may be worth your while to take a look at some online retailers if you’re looking for a great price. There’s a lot to like about this brand, provided that you don’t mind oversized models with chronograph looks and features. If you’re looking for gold, diamonds, thousand-meter water resistance or bizarre, avant garde styling, you’re looking in the wrong place. On the other hand, if you’re looking for rugged construction, quality movements, sapphire crystal and screw-down crowns in models that are priced in the hundreds, rather than the thousands, of dollars, you’ll find that Jorg Gray watches offer a great value. On the whole, these timepiece are a bargain. They look good, they’re well made, and they’re good enough for both the Secret Service and the President of the United States.